Two years ago, copier serviceman Bill Guernsey was travelling through Alaska, visiting several villages along the Kuskokwim River. That’s when tragedy struck. On one unfortunate afternoon, Guernsey crashed his plane into an iced river after taking off from Upper Kalskag. For the next two years, Guernsey was doing intensive rehab, focusing on putting his life back together. 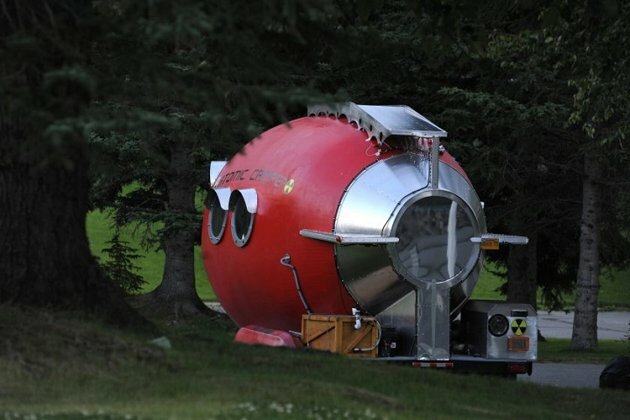 During this time, he also began work on a project that he had been putting off for years— the building of a 16-foot long bright red rocket on wheels. Guernsey got so into the project that he was spending about six hours a day, six days a week on the camper. That might sound like a lot for a guy trying to go through rehab, but Guernsey says that his injury actually helped him during the process. 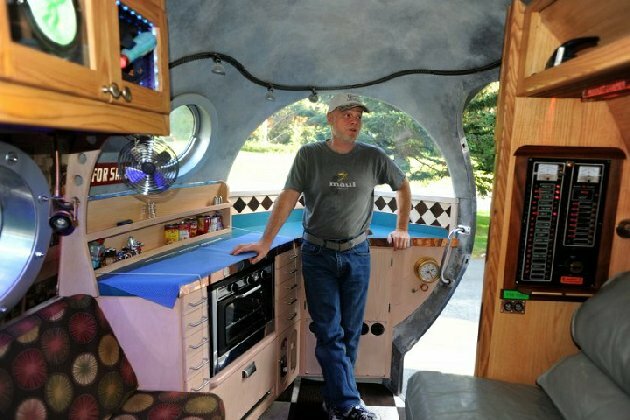 Inside of the solar-powered vehicles, Guernsey has built a full bathroom, a kitchen, and a shower, allowing he and his wife to travel around the country on extended vacations. As far as decorating goes, the camper has been fixed as a tribute to Guernsey’s ambitions growing up. Across the walls are dozens of photos and magazine covers, especially classic covers from the 50s and 60s. One of his favorite magazines, Popular Mechanics, is the most popular. In fact, he always loves to point to an August 1959 cover story “Race to the Moon: Are the Russians ahead?” as his favorite wall-hanging. Obviously, adding to the nuclear age feel is the egg shape design, which was built on a skeleton of ribs covered with bent wood lathes, and then coated with papier-mache and glass fiber. 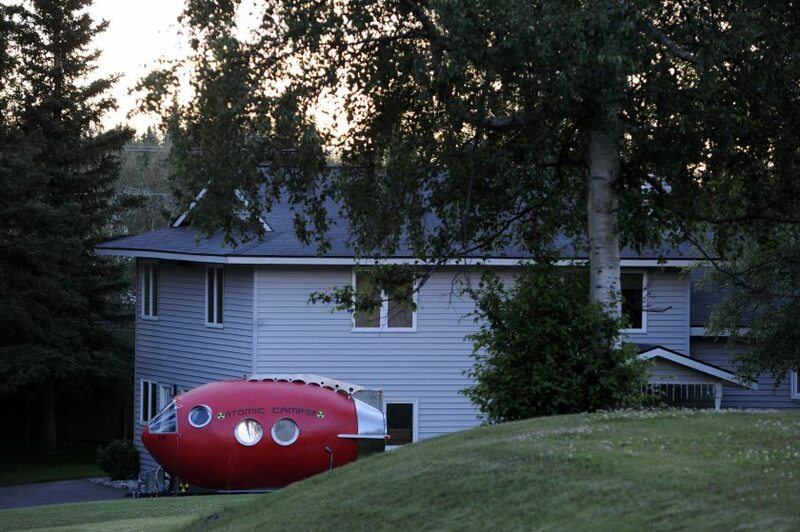 The entire vehicle is certainly one of the coolest home projects we’ve seen in some time, as it pays homage to an entire era of scientific development and innovation. We’ll be looking forward to it. This entry was posted in Culture and tagged Bill Guernsey, Kuskokwim River, Upper Kalskag. Bookmark the permalink.